The 3.5 inch Resistive TFT Touch Screen Display, which uses SPI Protocol (serial peripheral interface) to communicate with the main processor. 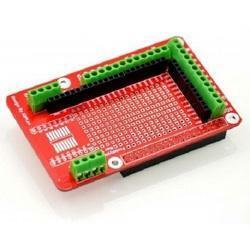 It can be mounted directly to the GPIO pins and it doesn’t require any external power source. In here we have detailed explanation on how to install LCD drivers in a custom Raspbian image. The standard version of Raspbian does not include drivers for LCD touchscreens, so we will have to install and configure them manually. 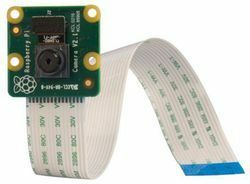 Description: The Raspberry Pi High Definition (HD) Camera Board connects to any Raspberry Pi or Compute Module, allowing you to create HD video and still photographs. 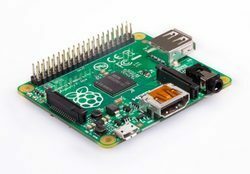 Raspberry Pi 3 Model B - 1.2GHz Quad-Core, 1GB Ram, inbuilt WiFi & Bluetooth. 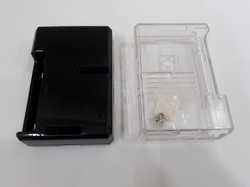 Complete compatibility with Raspberry Pi 1 and 2. This fantastic 5 inch HDMI LCD display with USB touch screen is compatible with almost all the operating systems on the market. Utilizing pre-existing Linux/Windows/Mac drivers, this 800 x 480 touch screen will help you hit the ground running. Resistive touch function gives the user full control over any device. It supports Windows XP SP3, Windows 7, Windows 8, Windows 8.1, Windows 10, Android 4.2, Windows CE7, Ubuntu and Debian. With the built-in EDID device information, your equipment will get identified in no time. Meanwhile, its USB touch can fulfill the functions of the right mouse button and drag and drop. With the special design power circuit for this display, it requires less than 150mA current to get it running with perfect performance. When you do not need the touch screen function, all you need is to plug a HDMI line to get it work. We have successfully run the tests on PC, laptop, Raspberry Pi, Beaglebone Black, Udoo, Compute stick, SLR camera. Plug and Play! No Driver Needed! When you use this display with a Raspberry Pi, please edit config.txt to set the HDMI to the native 800x480 in case it doesn't detect the resolution properly. The easiest way to edit the config.txt is to put the Pi TF card into an everyday computer and edit config.txt with any text editor. Save it and it is ready to rock. 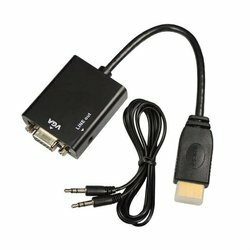 This Converter is that converts HDMI input into analog VGA, it provides a simple way to output high definition image and sound to a VGA equipment. It’s useful for Raspberry Pi, Cubieboard, Cubietruck and so forth. The Converter also includes an audio jack. 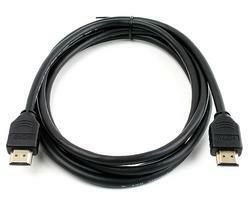 Description: HDMI to HDMI Cable to Connect Raspberry Pi to a TV. Cable. 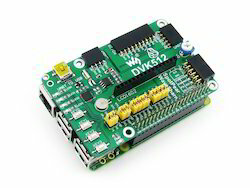 DESCRIPTION:DVK512 is an expansion board designed for Raspberry Pi Model B+, integrates various components and interfaces for connecting external accessory boards. 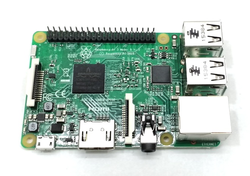 It's ideal for Raspberry Pi Model B+ evaluation and development. 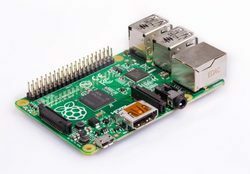 The Prototype development module is designed specifically for the Raspberry Pi. 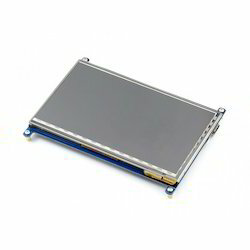 The module suitable enthusiasts and user can weld peripheral to the module;The module expand some amphenol connector and some SMT, so the user can finish prototype test easily. -- Insert the Prototype development module to Raspberry Pi, Pay attention don’t make the direction reversed! The correct direction of insert module is above the Raspberry Pi’s PCB. 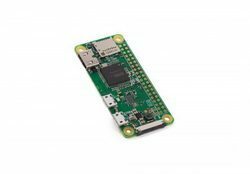 1.4GHz 64-bit quad-core processor, dual-band wireless LAN, Bluetooth 4.2/BLE in the same mechanical format as the Raspberry Pi 1 Model A+. 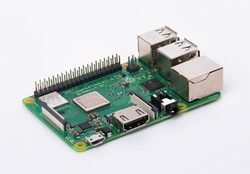 Looking for Raspberry PI Board And Acceseories ?